Donations of cash are always needed and appreciated. Many of the animals that we take into our care arrive dirty and malnourished. They are often suffering from fleas, ticks and internal parasites. They need to be tested for diseases that might spread and infect other animals at the shelter. They need to be vaccinated and spayed or neutered. While all of our dogs and cats will make great companions, some of them will live at ARF for a long time before they are adopted. Adult cats and large dogs are not in as high demand as kittens and small dogs. It is sadly not remarkable for a cat to live at the shelter for a year or more. At the same time, we are picky about who can adopt our animals. For their safety, we want dogs to go to homes that have fenced yards and we want cats to be kept indoors. Just like at your home, our gas, electric, and water bills have gone up due to rate increases. With the recent and much needed expansions, the space we need to heat, cool, and keep clean has also grown. ARF does not receive local, state or federal funding. We rely on the generous financial support of our community to help us help the animals. So please donate today! Checks can be mailed to : Animal Rescue Foundation, P.O. Box 1032, 711 S. Wilkinson St., Milledgeville, GA 31059-1032 or you can make a one time or recurring donation by clinking on the DONATE button that appears on each page. The Animal Rescue Foundation is a non-profit, tax exempt humane society. Your donations are tax-deductible. If you need a receipt, please let us know. 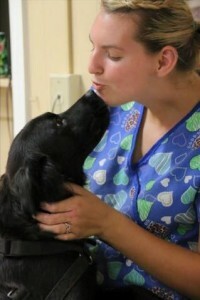 Another great way to help ARF is to volunteer. Interested? Volunteer Application. The dogs, cats, and humans of ARF thank you!